Hartshorn，TA，Muller PO.Suburban downtowns and the transformation of metropolitan Atlanta’s business landscape[J].Urban Geography，1989（10）:375-395. Brown，Eliot.Smaller officespaces slow recovery[J].Wall Street Journal-Eastern Edition，2014，264（1）:756-760. Menezes R C， Pizzolato N D. Locating public schools in fast expanding areas: application of the capacitated p-median and maximal covering location models[J]. Pesquisa Operacional， 2014，34（2）:301-317. Rahman S， Smith D K. Use of location-allocation models in health service development planning in developing nations[J]. European Journal of Operational Research， 2000，123（3）:437-452. Harper P R， Shahani A K， Gallagher J E， et al. Planning health services with explicit geographical considerations: a stochastic location�Callocation approach[J]. Omega， 2005，33（2）:141-152. Li X， Zhao Z， Zhu X， et al. Covering models and optimization techniques for emergency response facility location and planning: a review[J]. Mathematical Methods of Operations Research， 2011，74（3）:281-310. Araz C， Selim H， Ozkarahan I. A fuzzy multi-objective covering-based vehicle location model for emergency services[J]. Computers & Operations Research， 2007，34（3）:705-726. Johann H， Hall M， Kimbrough S O， et al. Service District Optimization Usage of facility location methods and geographic information systems to analyze and optimize urban food retail distribution[J]. Ssrn Electronic Journal， 2014. Yang L， Jones B F， Yang S. A fuzzy multi-objective programming for optimization of fire station locations through genetic algorithms[J]. European Journal of Operational Research， 2007，181（2）:903-915. Murray A T. Optimising the spatial location of urban fire stations[J]. Fire Safety Journal， 2013，62:64-71. Neema M N， Ohgai A. Multi-objective location modeling of urban parks and open spaces: Continuous optimization[J]. Computers Environment & Urban Systems， 2010，34（5）:359-376. Current J R， Storbeck J E. Capacitated covering models[J]. Environment & Planning B Abstract， 1988，15（2）:153-163. Owen S H， Daskin M S. Strategic facility location: A review[J]. European Journal of Operational Research， 1998，111（3）:423-447. 杨文越， 李涛， 曹小曙. 基于碳排放――位置分配模型的公共中心规划支持系统设计与应用研究[J]. 华南师范大学学报（自然科学版）， 2015，47（5）:119-125. 周媛， 石铁矛， 胡远满， 等. 基于GIS与多目标区位配置模型的沈阳市公园选址[J]. 应用生态学报， 2011，22（12）:3307-3314. 韩增林， 杜鹏， 王利， 等. 区域公共服务设施优化配置方法研究――以大连市甘井子区兴华街道小学配置为例[J]. 地理科学， 2014，34（7）:803-809. 陈蔚珊， 柳林， 梁育填. 基于POI数据的广州零售商业中心热点识别与业态集聚特征分析[J]. 地理研究， 2016，35（4）:703-716. 池娇， 焦利民， 董婷， 等. 基于POI数据的城市功能区定量识别及其可视化[J]. 测绘地理信息， 2016，41（2）:68-73. 许泽宁， 高晓路. 基于电子地图兴趣点的城市建成区边界识别方法[J]. 地理学报， 2016，71（6）:928-939. Long Y， Liu X. Automated identification and characterization of parcels （AICP） with OpenStreetMap and Points of Interest[J]. 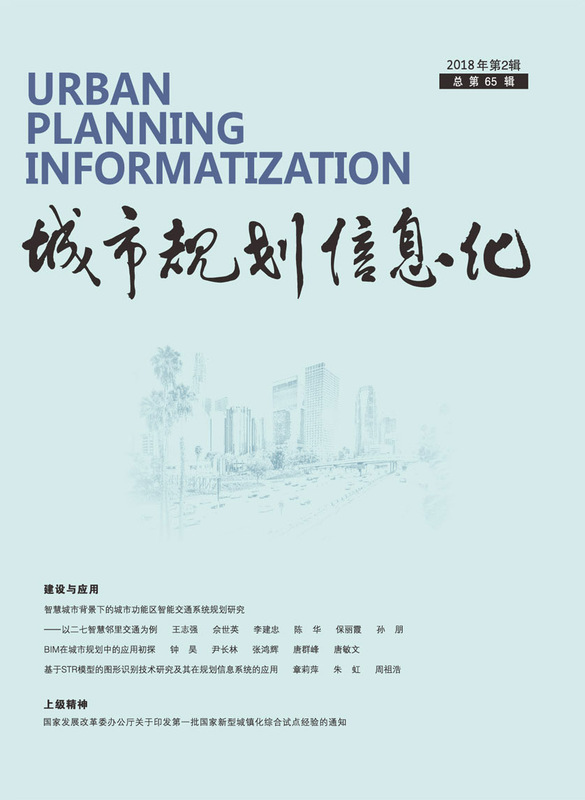 Environment & Planning B，2013，43（2）:498―510. 杜兰， 葛军莲， 王宏志， 等. 基于POI网络信息的景区最优游客接待中心选址研究――以南京钟山景区智慧旅游为例[J]. 华中师范大学学报（自然科学版）， 2014，48（4）:613-619. 赵卫锋， 李清泉， 李必军. 利用城市POI数据提取分层地标[J]. 遥感学报， 2011，15（5）:973-988. 周亚飞， 刘茂. 基于GIS的城市火灾风险评价及其在防灾规划中的应用[J]. 灾害学， 2010，25（610）:258-263. 薛亮， 任志远. 基于格网GIS的关中地区生态安全研究[J]. 地理科学， 2011（1）:123-128. 牛强. 城市规划GIS技术应用指南[M]. 北京: 中国建筑工业出版社， 2012. 吴在栋， 胡玉娟， 张明锋， 等. 基于GIS的历史文化街区火灾风险评估――以福州市三坊七巷为例[J]. 灾害学， 2016，34（4）:205-209.